Salina Police arrested a man from Salina after he allegedly tried to slash two other people during an altercation. According to Police Capt. 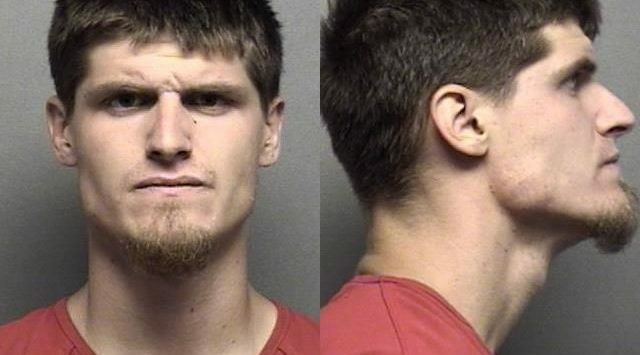 Mike Sweeney, 23-year-old Salina man, Seth VanBruggen showed up at a residence in the 800 block of W. Elm. There were three residents housed at the home and all got in to an argument with VanBruggen which then turned physical. During the melee, VanBruggen allegedly pulled out a knife and began swinging it at two of the victims, nearly drawing contact. VanBruggen left the property, however, he was later captured by police close to the area and has been charged with aggravated assault. Authorities weren’t able to locate the knife used.